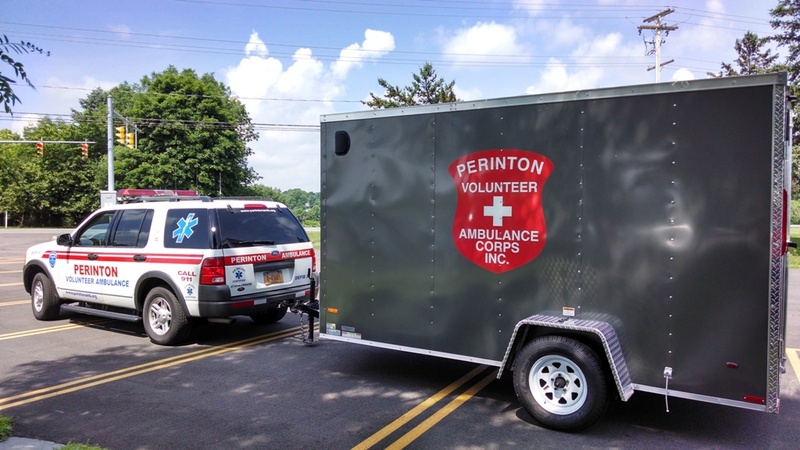 Through the generous support of the Polisseni Foundation, the Perinton Volunteer Ambulance Corps recently placed into service a multi-purpose response trailer. 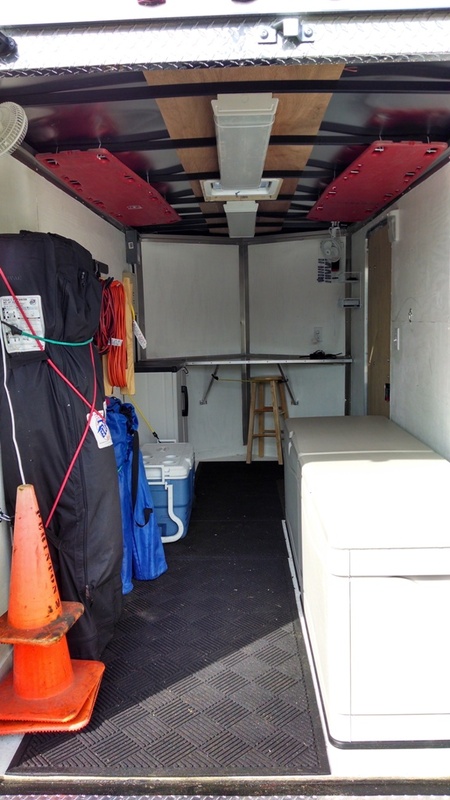 This unit was purchased from Nyles Trailer Sales in Fairport and customized to include interior lighting, shoreline power access, shelving, and a retractable awning. 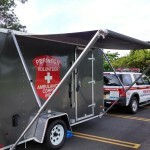 This vehicle meets New York State Department of Health standards as an “Emergency Health Unit” for large gatherings. 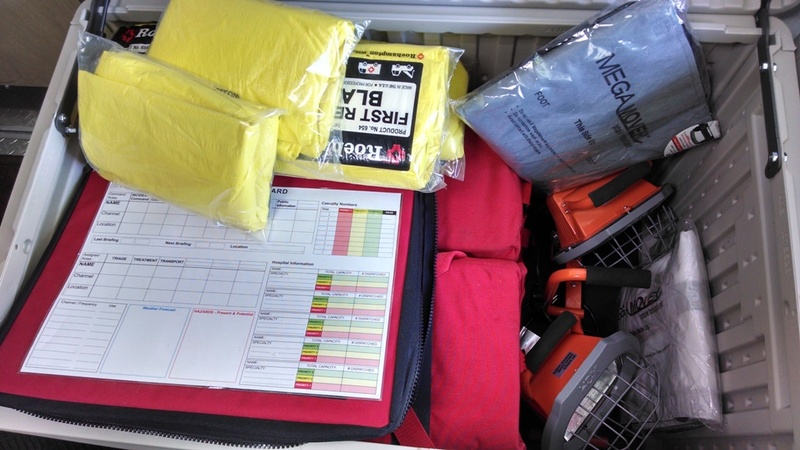 It will be utilized at large scale events, including multiple-casualty incidents, incident rehabilitation, or other situations requiring logistical support and transportation of supplies and equipment. 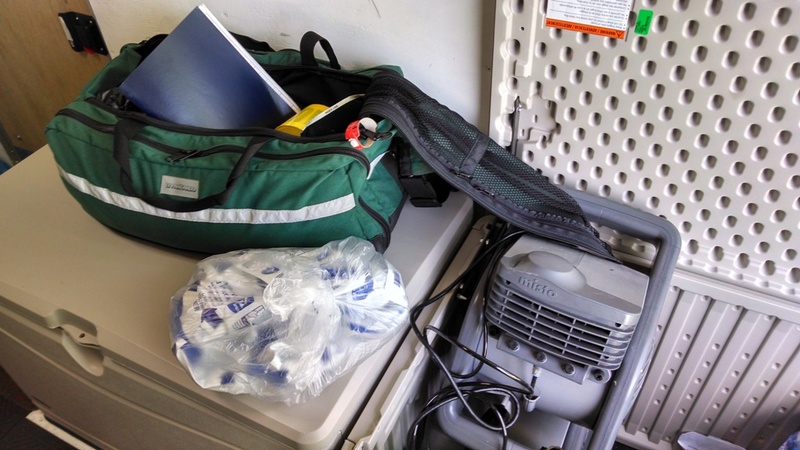 Incident rehabilitation supplies include tents, chairs, hoses, misting fans, and rehydration supplies, among other equipment. 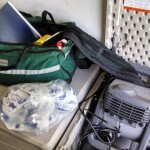 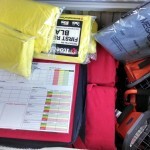 For large-scale medical incidents, four fully-stocked basic life support bags, five trauma kits containing tourniquets and other hemorrhage control items, “MegaMover” transfer devices, and blankets are stocked. 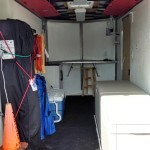 All of these items are kept in two large containers that also serve as a seating area. 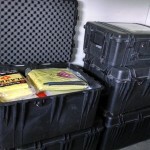 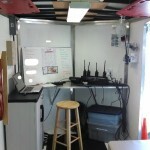 Additional logistical equipment includes power cords, portable lighting, dry erase boards, and a small portable table. 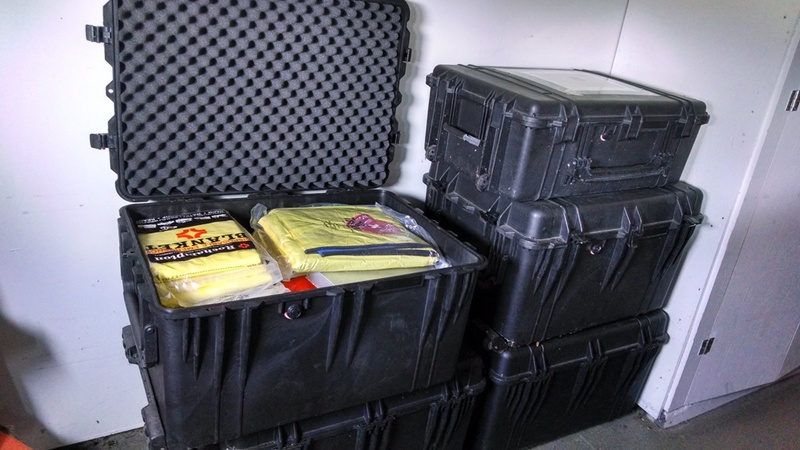 Kept outside of the trailer but easily accessible are five large Pelican kits that can be loaded and deployed to emergency health care stations or casualty collection points as necessary. 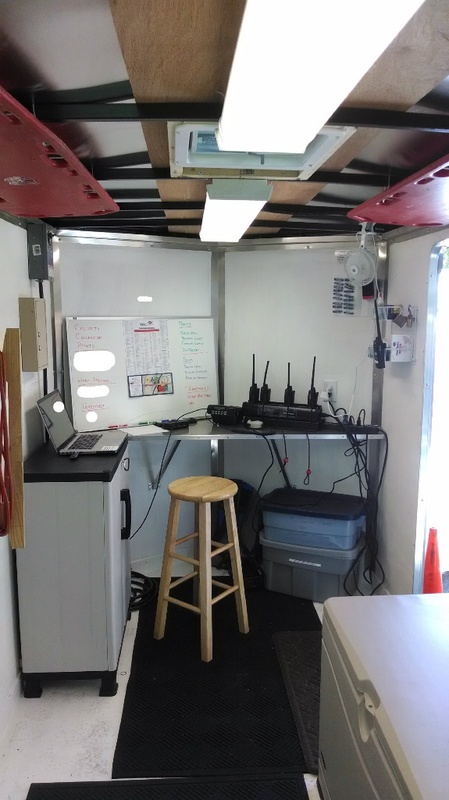 Additionally, mobile radios, portable radios, antennas, and other electronics are immediately available to be placed into the vehicle for deployment to an event as necessary. 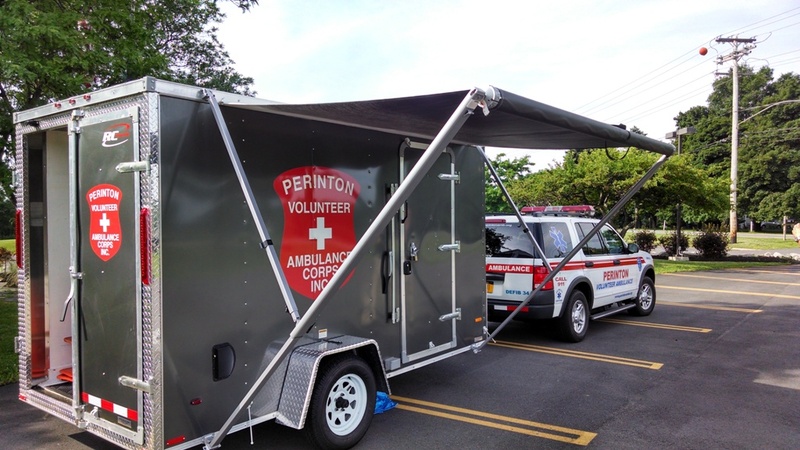 The trailer debuted at this past June’s Fairport Canal Days, where it was used as an EMS operations center. 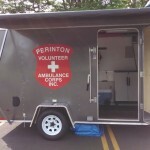 In addition, it was used during the Fairport-Perinton Chamber of Commerce’s Party in the Park on July 4th and will be deployed during a youth soccer tournament in town this coming weekend. 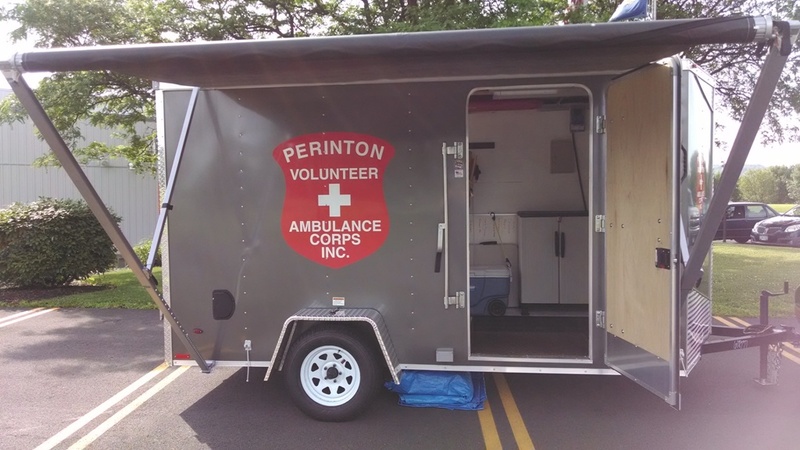 This trailer will be on display at the Perinton Volunteer Ambulance Corps’ Open House on Sunday, August 24th from noon until 4pm. 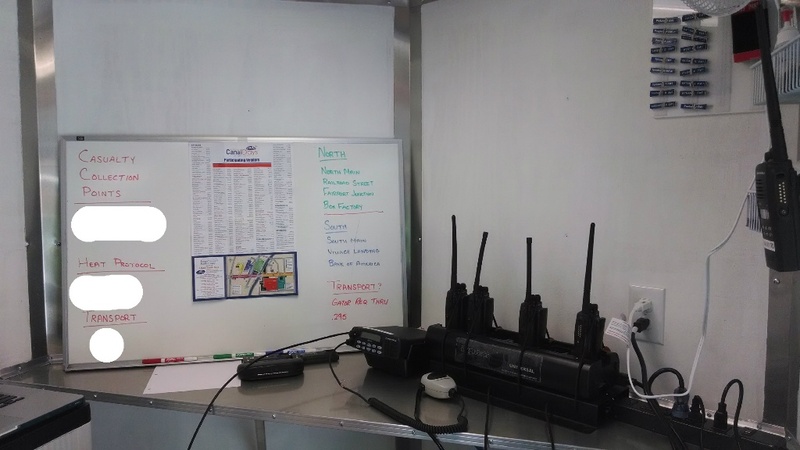 If interested in reviewing it outside of that time, please call (585) 223-4150 and ask to speak with the Operations Manager. 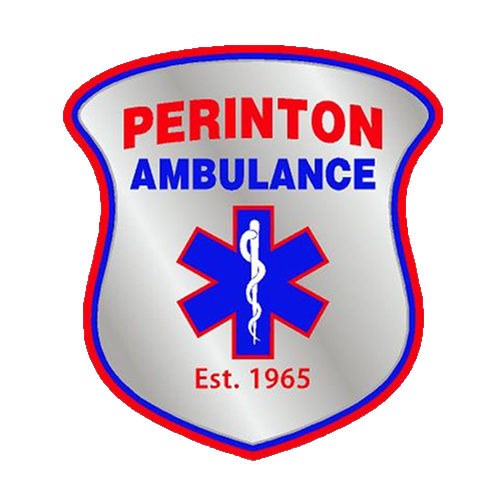 Congratulations on the new trailer. 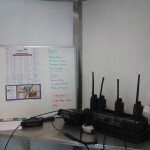 Looks sharp and well planned out.